Daviess County links to legends of America’s Old West are many. During the mining wars between owners and workers in Colorado during the first decade of this century, no gunfighter was more feared than Jim Warford, alias Jim Lambert. 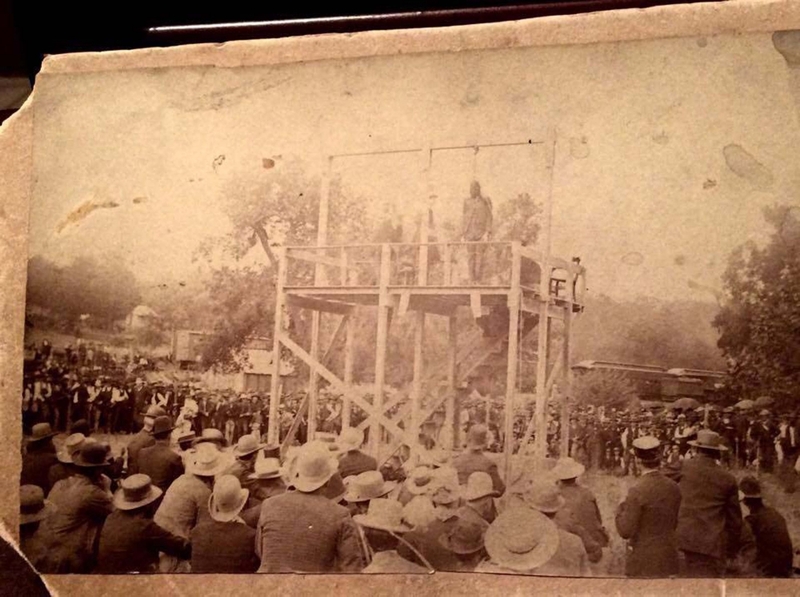 Jim Lambert became well known and much feared in Cripple Creek, Colo., from 1903 to 1912. These were times when gunplay and dynamite punctuated showdowns between the Mine Owners Association and the Western Federation of Miners. After August 1903, Jim lived at Independence Camp near Stratton’s Mine and associated with the mine owners and prominent members of the Citizens Alliance. He soon became a troubleshooter to aid in the effort to rid the district of unionism. Jim evidenced that he was in the pay of the owners but may secretly have been in support of the miners. He was not yet 40 years old. A cousin of the desperado, Tom Lambert of Pattonsburg, says both men were shot at the same time, one gunshot each from two guns in the hands of a man wearing a white hat. Both shots took effect at about the same place on both men. Jim Lambert was born in Liberty, Clark County, Iowa about 1865. But beginning at age 3, he spent his childhood on his father’s farm west of old Pattonsburg and Elm Flat Station in Benton Township, Daviess County, Mo. Daviess County records indicate that Jim tried farming on his own in the summers of 1886-87. He may have gone west in 1888 at age 23. He reportedly worked as a ranch hand and cowboy for the Cattlemen’s Association of Carbon County, Wyo., during the Range Wars. He is thought to have been a warm friend of gunfighter Tom Horn. 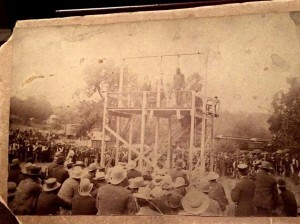 Jim was at the Union Miners War at Telluride, Colo., about 1900 and at Cripple Creek in 1902. 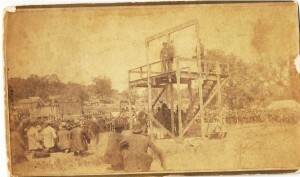 The election day gunfight in 1904 as described above brought Lambert five years of trouble until his pardon from the Governor of Colorado. On April 17, 1912, Jim Warford’s body was found frozen on Battle Mountain near Victor in Teller County. He was riddled with bullet holes. 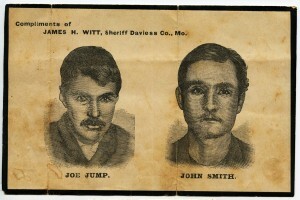 His Savage 30-30 rifle and someone’s sack of dynamite sticks were found near the body. The Teller County Sheriff said he believed Warford was killed the night of April 11 since Warford’s Colt .45 revolvers were pawned in Colorado Springs the next day by a person using Jim’s name. Jim Warford’s murder was never solved despite much investigation. James Hanover Warford was buried April 21, 1912, at the Sunnyside Cemetery. Mr. R.E. Maupin, a Pattonsburg banker, paid for the services. Jim’s effects included a signet ring, a belt with buckle reading “Deputy Sheriff of the Black Hills,” and a star showing Jim may have been a deputy sheriff of Elkhorn, Nev. 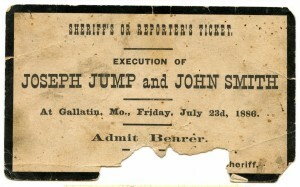 He had also been a deputy sheriff of Teller County with the county seat at Cripple Creek. Gen. Sherman Bell, who commanded the Colorado Militia during the Mining Wars, said that Warford was the quickest and best revolver shot in Colorado. 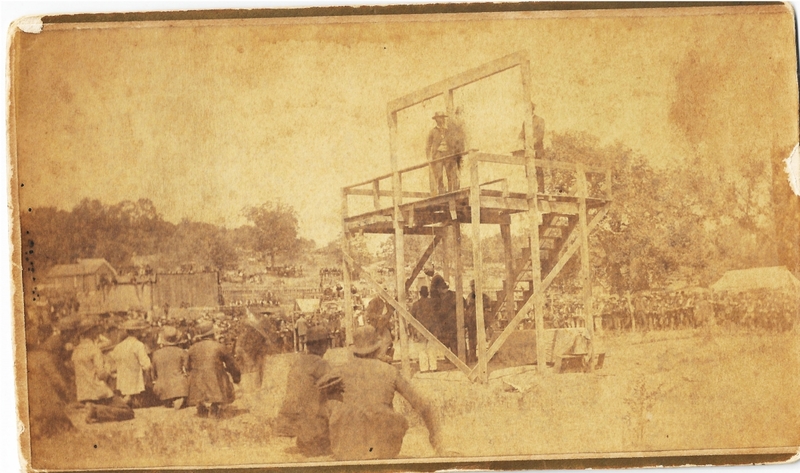 Warford had easily won state shooting contests, including a challenge from revolver expert Captain Hardy. Jim was the oldest son of Hanover Pitts Warford and Malinda Lambert Warford. They lived in a three-room log house west of Pattonsburg near Samson Creek until about 1884 when Pitts built them a new frame house which still stands. Jim probably helped with the farming and construction of the house, learning some of Pitts’ woodworking skills. Jim’s mother was the third child of John and Mary Lambert, who came to a farm west of Pattonsburg the year Jim Warford was born. Both farms were north of the Grand River in Section 21. Pitts Warford purchased 240 acres there in 1875 and had it all paid off by 1880. 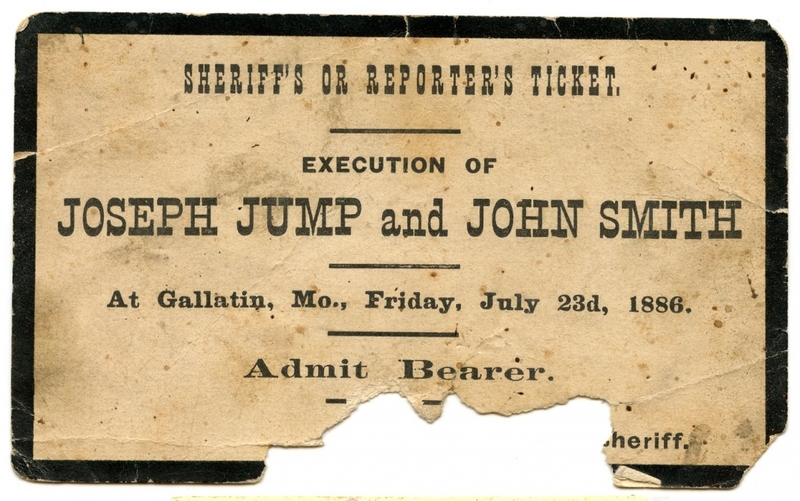 Note: Information provided by Lyle Warford and Tom Lambert supplemented research for this article by David Stark, Daviess County Historical Society. 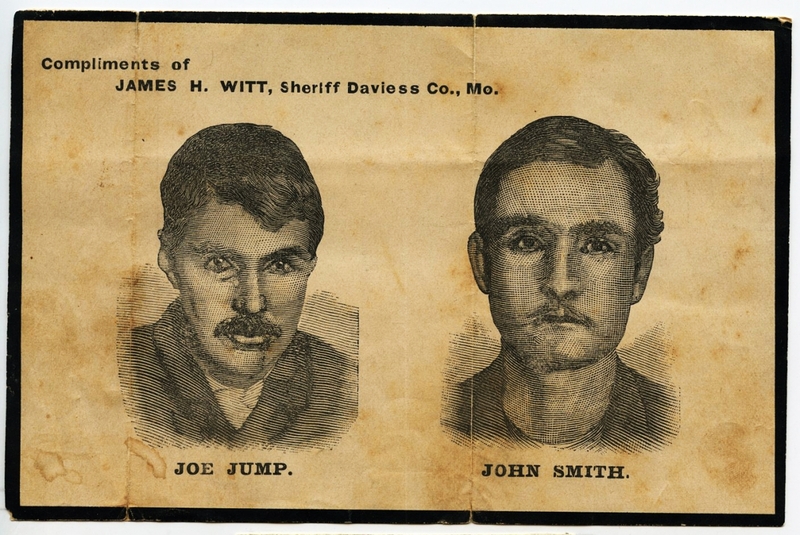 Next Next post: Should we apologize for Frank & Jesse James?